Gentoo penguins marching down to the sea for a swim to catch food for themselves and their young chicks near Port Lockroy, Antarctic Treaty Historic Site No. 61, British Base A. 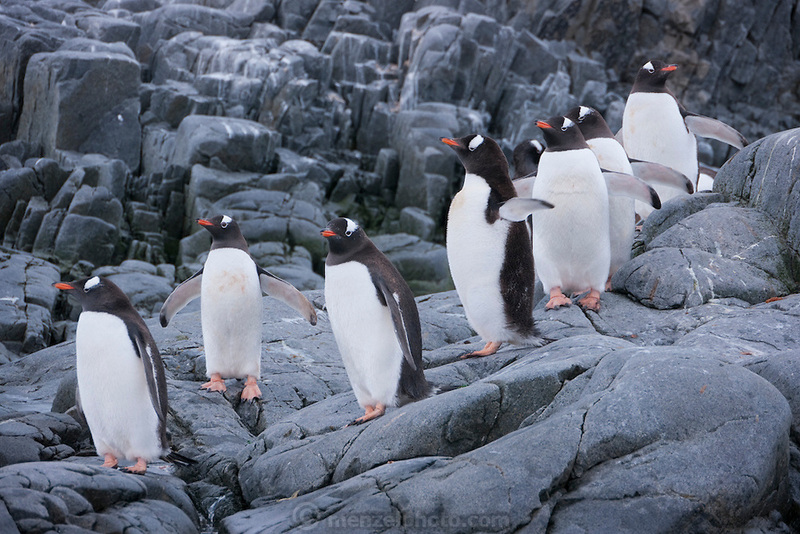 Home to a small Gentoo penguin colony. Antarctica.